The number one way to connect with your audience has less to do with eye contact, making them laugh (though this is helpful), or how energetic you are, and has a lot more to do with feelings. True connection is developed when the audience feels you are adding value to their lives. We make decisions based on emotions, and watching a speech that makes us feel something is when we decide (subconsciously or otherwise) whether or not we connect with what the speaker is saying. 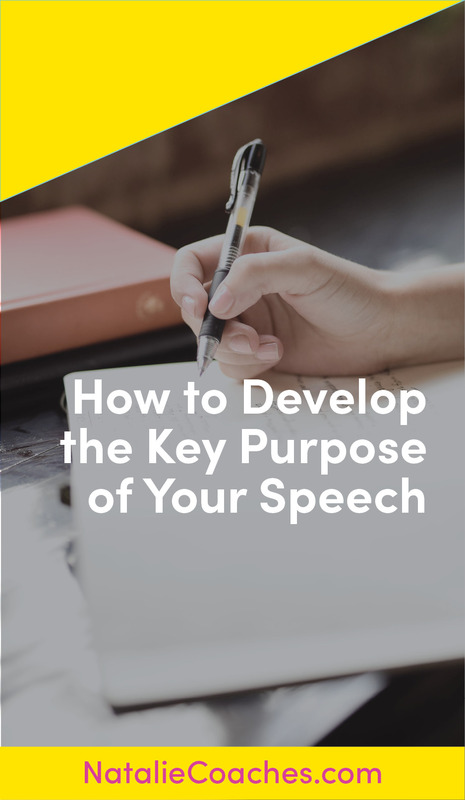 The first step in creating this meaningful impact is in developing the key purpose of your speech. Check out the video below for a crash course (tailored specifically for a Toastmasters audience, but applicable to all) in how to develop the key purpose of your speech. Want to go a bit more in-depth with this training? Then check out the online course that walks you through each step, and comes with a workbook that you can use for every speech you write! Just click on the image to be redirected to my online school. Do you want to get cool stuff like this delivered directly to your inbox? Of course you do! Just fill out the form below, and I’ll also send you a FREE speech writing guide!